What sharp teeth it has. 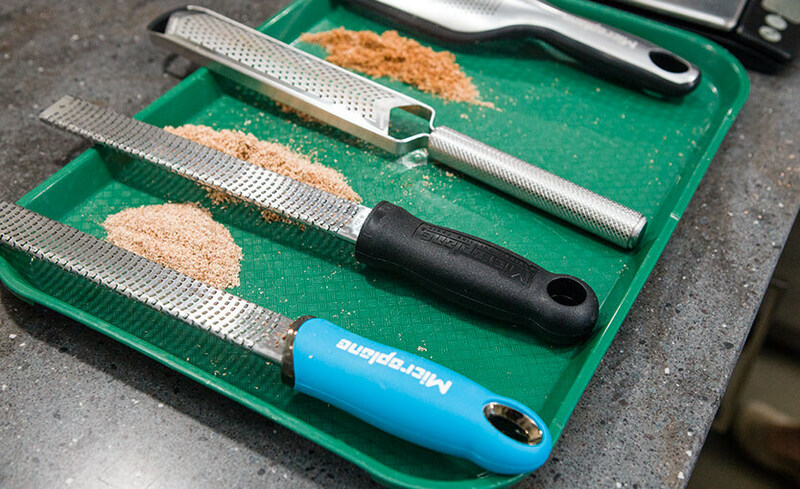 We use rasp-style graters to zest citrus fruits and to grate hard cheeses, ginger, shallots, garlic, nutmeg, and more. One manufacturer has ruled the fine-grating roost for years—heck, it invented the game. Grace Manufacturing, the parent company of Microplane, pioneered and patented a special photographic chemical etching process that creates razor-sharp grating teeth. But their patent on this process expired in 2011, freeing other manufacturers to create their own versions of this handy tool. Could any of them beat our previous favorite? Yes, but there’s a twist. This Microplane grabbed the top spot thanks to its great performance and its soft, grippy rubber handle that was slightly more comfortable and secure than that of our old winner. Otherwise, their grating surfaces are identical, so they both zested lemons and grated cheese, nutmeg, garlic, and ginger with ease. The Premium Classic came sharp, stayed sharp, and looked as good as new after testing. We do wish it had a wider surface so it didn’t form a trench in our cheese while grating, but it’s still the best option out there. First things first: Is your current grater up to snuff? Zest is fluffy and dry. Zest forms wet, oily paste. Ease of Use: We evaluated the user experience for each model. Those that required more finicky adjustments while grating scored lower, while those that were intuitive, with just the right amount of bite in the grating teeth, scored higher. 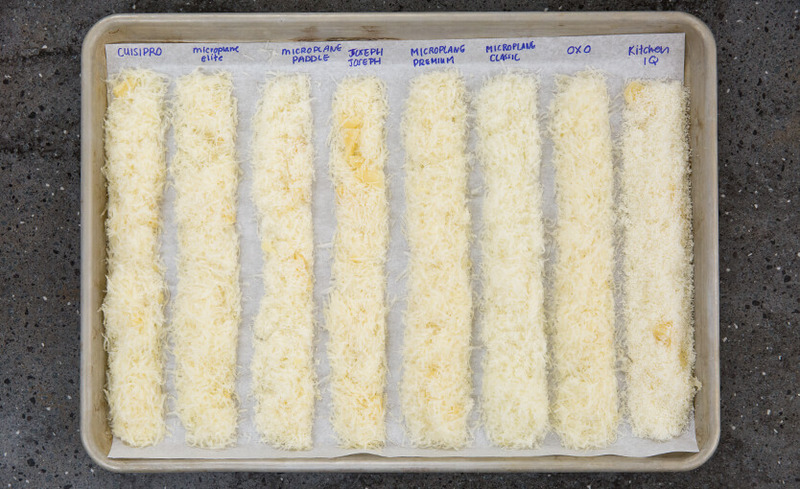 At the end of testing, we repeated our initial timed Parmesan-grating test to evaluate how the graters’ blades held up over time.